In every country, sound laws are a key foundation of democratic governance and economic development. Crafting such laws, however, is only part of the path to success. The other half is making sure that the laws are properly implemented – which is often more challenging. When laws and regulations are not properly adopted, such discrepancy creates an implementation gap – the difference between laws on the books and how they function in practice. This gap can have negative consequences for democratic governance and the economic prospects of countries and communities. Failing to fully implement laws undermines the credibility of government officials, fuels corruption, and presents serious challenges for business, which in turn hampers economic growth. To help better understand why implementation gaps happen and how they can be addressed, CIPE and Global Integrity published Improving Public Governance: Closing the Implementation Gap Between Law and Practice. This guidebook offers starting points for identifying implementation gaps in various laws and regulations, asking why these laws and regulations are not fully adopted or practiced. 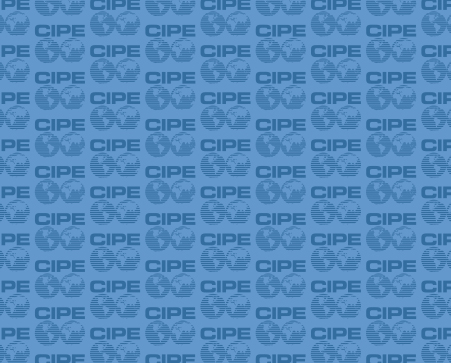 Based on the suggestions from the guidebook, the Center for the Implementation of Public Policies Promoting Equity and Growth (CIPPEC) researched whether Argentina’s access to information law is implemented by public entities, particularly by state-owned enterprise. The latest Economic Reform Feature Service article summarizes CIPPEC’s key findings from the research and policy reform suggestions needed to overcome the implementation gap.